Sugar Cane being loaded into a truck outside Penang Mill to be transported to Rarawai Mill. Photo: CHARLES CHAMBERS. Government yesterday successfully negotiated with sugar cane farmers the new increased subsidised cartage costs for the transportation of harvested cane from Rakiraki to Rarawai Mill in Ba. This followed a meeting held at the Penang Mill in Rakiraki between Government, Fiji Sugar Corporation, Sugar Cane Growers Council, Sugar Tribunal and cane farmer representatives. Permanent Secretary for Sugar, Yogesh Karan, said all stakeholders were invited to resolve issues that had cropped up. With the transportation costs, Government had set aside $2.5 million for the transporting of cane in the Rakiraki catchment to Rarawai Mill. Following the meeting, it was agreed for the existing rate of $20.50 per tonne to be increased by 43.6 per cent so that those transporting cane would now be paid $30 per tonne for cartage. “Of course this is a commercial issue and everyone has to make a profit,” Mr Karan said. It was also agreed to that a further $14 per tonne would be paid for carting the cane to Lautoka Mill should Rarawai Mill have a breakdown. “These rates would be available to all lorry owners who cane cart cane,” Mr Karan said. Other key issues included queuing of trucks at the Penang Mill, big pile of cane that had built up at the mill because of a breakdown at the Rarawai Mill and the replanting of sugar cane for the new season. As for the queuing of cane at Penang, Mr Karan said the issue of its quality had come into effect. “Also a significant issue was the replanting for existing farm,” he said. Mr Karan said to encourage cane farmers to replant, Government had increased the replanting rates from $1300 per hectare to $1500 per hectare. “We are encouraging farmers to take advantage of this and plant more sugar cane so that we are able to get back to the tonnage we had in the past,” he said. Fiji Sugar Corporate chief executive, Abdul Khan, said the problem at Rarawai Mill was with one of the generators. “This has been repaired and the mill should be starting today (yesterday),” Mr Khan said. Rarawai Mill has not crushed any cane for the past two days and all cane were being transferred to Lautoka. Mr Khan said the meeting was fruitful and constructive. 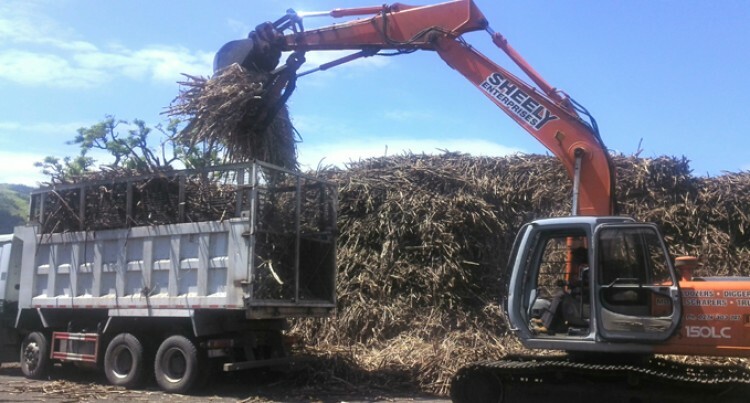 “Now 70 per cent of sugar cane harvested, which was about 800 tonnes daily in the Rakiraki area, cane will be moved direct to Rarawai Mill,” he said. Rakiraki businessman and cane farmer, George Shiu Raj, said he was happy with the issues being resolved. In particular he was happy about the costs for carting cane to Rarawai.